As at-home DNA test kits have exploded in popularity, many people are turning to them to connect with their families. 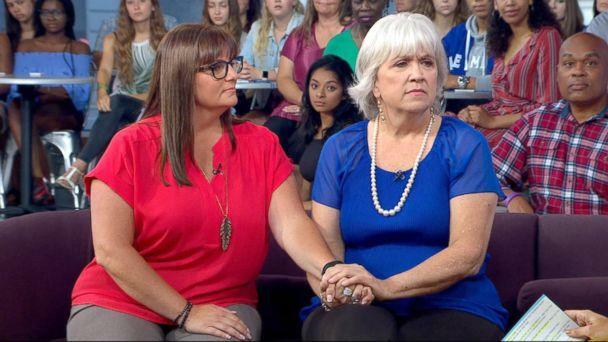 But for some, these DNA results have revealed shocking discoveries that have upended their entire identities. 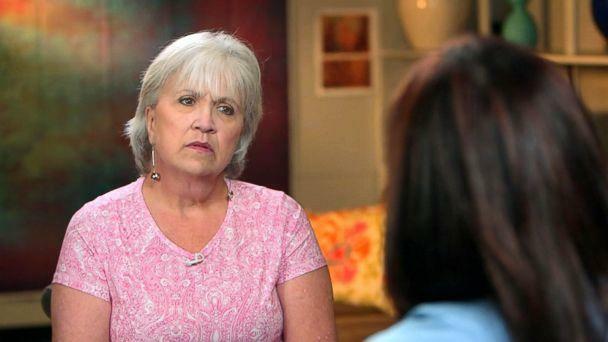 "It was really hard for me to look in the mirror," Catherine St Clair of Texas said of after an Ancestry.com DNA test revealed that her biological father was not the man who raised her and was married to her mother for 50 years. "I took for granted my whole life that I was looking at the reflection of my mom and my dad," St Clair told ABC News' Juju Chang. "And now I'm looking at ... there's half a person that I don’t even know who that is." St Clair created a secret Facebook group called DNA NPE Friends -- NPE short for "Not Parent Expected" -- as a support group of sorts for others who may find themselves in similar situations. "The first thing we want to do is validate their feelings," St Clair said Monday on "Good Morning America." "They have an open wound that’s bleeding and we, as a group, do our best to stop that bleeding." She added, "People relate to each other’s experiences and emotions. I think just having that validation gives you some of your peace back, and that’s our goal is to get our peace back." The secret online community was first reported on by The Atlantic. One of its members, Hope Lamonica, told ABC News that she was inspired to take a DNA test last summer, following a dream trip to Africa. "I always wanted to know what my background was and what nationality I was," Lamonica said. After taking a test, she said she eagerly examined the results. "It came back that I was from the Congo and Cameroon ... It also told me who you could be related to," she said. "The person that came up, it said that they were either my parent, my child, or my identical twin." Lamonica said she reached out to this person via email, and he replied that they needed to talk on the phone. "He says, 'There’s not an easy way for me to tell you this, but I’m your biological father,'" Lamonica said. After being stunned by the news that the man who raised her was not her biological father, Lamonica said she turned to the Facebook community to find support for the range of emotions she was going through. "There was embarrassment, shame," she said. "To be able to have that group to share those experiences and have them comfort me ... it was a family." In a little over a year, the secret Facebook group has grown to include nearly 1,700 members from more than a dozen countries. Lamonica said that through the support of the online community, she was able to help heal her own family that was left reeling with the results of the DNA test. Before he died, Lamonica said the father who raised her encouraged her to connect with her "other" father. "He kept saying ... 'You’ll always be my daughter,'" she said. "And, 'I’m okay that you get to know who your biological father is.'" While Lamonica's family was able to come to terms with the unexpected results of her DNA test, other members of the group have experienced wildly different results. 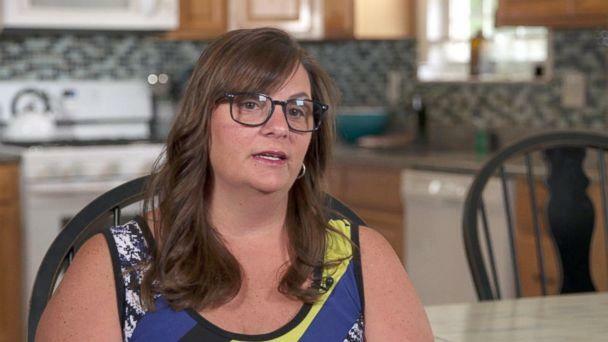 Erin Cosentino, a New Jersey schoolteacher, told ABC News that her experience has been fraught with turmoil. "My biological father does not want to have anything to do with me," Cosentino said. She said she turned to the Facebook group -- which she says feels like "home" -- for support after being rejected by her biological father. "It just feels safe there. It feels really safe," she said. "We help each other out on dark days. We provide light." Cosentino said she's also found support in meeting her newly found brother and sister. Plus, knowing that she is not alone also gives her strength, Cosentino added, and for this she said she is extremely grateful to the online community's founder, St Clair. 'I thank you for making it normal, really. You are a pioneer. You are a force," Cosentino said to St Clair on "GMA." "You took this vision and you created this space for all of us to feel at home and to be home." Popular DNA testing company 23AndMe told ABC News that while they are "increasingly hearing stories of families discovering and reuniting with newfound relatives," there are still cases of "customers finding unexpected results in their reports." The company added that users can opt to use their DNA Relatives tool to help connect with others, and if they choose to they are "informed up front that by using the tool they may discover unexpected relationships." 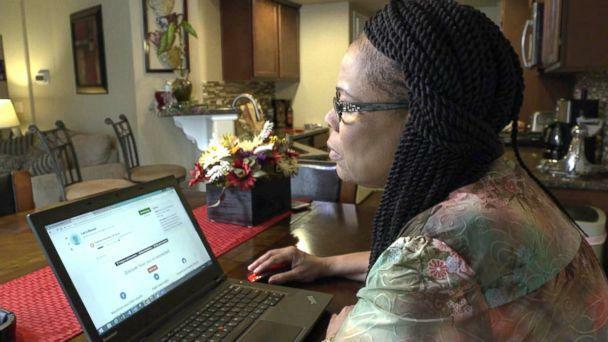 Ancestry.com’s chief scientific office told ABC News in a statement that, "Almost every Ancestry customer finds something surprising as they embark on a self-discovery journey with us, and for most customers it’s something exciting and enriching; but there are certainly cases where a discovery might be unexpected." The statement continued to say that they have a team of service members who "trained to help customers understand and interpret their DNA results from our tests."